Gledhill, David.2002. 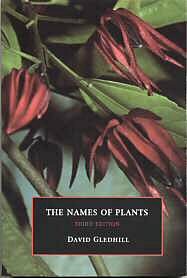 The Names of Plants, 3rd Ed. Cambridge University Press, Cambridge, UK. Paperback, 326 pages.